A group of astronomers and astrobiologists has revealed that alien life exists in our universe and the research teams are working hard to find them as early as possible. Astronomers informed US lawmakers, the US House of Representatives’ Committee on Science, Space, and Technology that they are confident of finding aliens in near future as they are capable of catching signals from other planets. From past many years, astronomers and astrobiologists have been in forefront to search habitable planets and aliens. 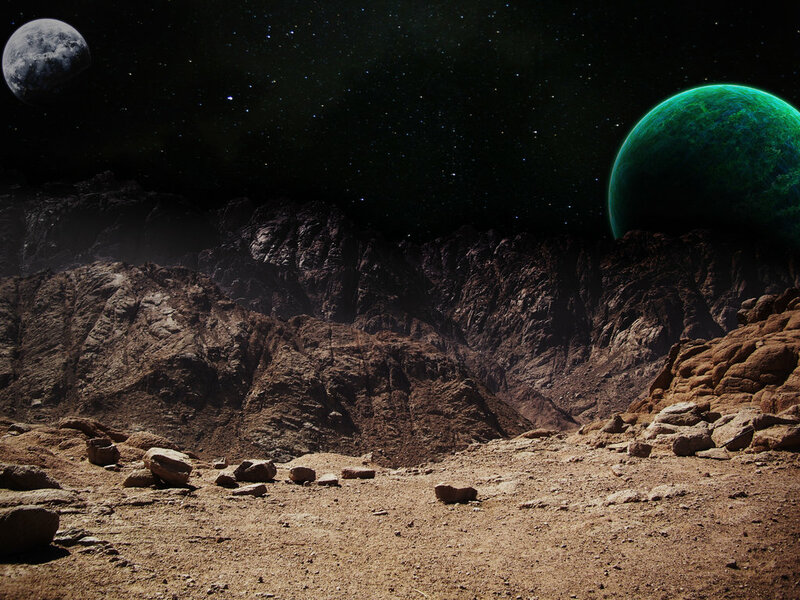 Latest developments in the fields of astrobiology, observational astronomy and discovery of large varieties of extremophiles have already declared that there may be thriving life on many of the extraterrestrial bodies in the universe. Seth Shostak, a renowned astrobiologist at the Congressional committee, said that except earth there are at least six other worlds that might support life in our solar system. Dan Werthimer, of Berkeley’s SETI Research Center, also shared efforts made by his team to search extraterrestrial intelligence. “At least a half-dozen other worlds that might have life are in our solar system. The chances of finding it, I think, are good, and if that happens, it’ll happen in the next 20 years”, said Seth Shostak, senior astronomer with the California-based SETI Institute to the committee. The Associated Press has reported that scientists fervently support the idea that microbes are living on other planets and in the waters of other moons. Werthimer told the committee that if intelligent life exists in other worlds, then they would certainly be able to find it. The institute is diligently searching signs of life in the galaxy having planets with the traces of oxygen and methane gas. These gases are very important for existence of life. Werthimer added that there are billions of other galaxies outside our Milky Way galaxy that can support life. It’the other half of the moon where if your dead & not reincarnated you may inner. isn’t they good 4 fishing when there’s water on the Planet? The most strangest things ever discovered in space…..I immensely enjoyed the article…simply mind boggling.My sincere thanks to the author. I enjoyed it too, until I started to think critically. It sounds great to hear that there’s life out in space, but there are no sources for anything stated/claimed in the article. Which scientists made this claim that there’s alien life, but they have yet to find it? How do you claim something exists if you can’t prove its there? How can they catch signals from other planets? I know what SETI is, but this article makes it seem as though we have confirmed that we have received signals directly from other plants. When did they say this to a US Congress committee? If Wermheimer said that there are billions of galaxies out there that can support life, and the article states that this was said in an AP article, then where is the source? When you reference another work, you cite the source of the material. This website has as much credibility as the National Enquirer.